Calling All Gleeks! Get All The Glee Party Ideas For Kids You Need To Host A Fun Birthday Filled With Games and Songs! Calling All Gleeks! Find some really fun ideas for your next kids birthday party. To find out about any of the party supplies or party favors you see on this page...click on the picture. Glee fans unite in a party centered around the hit TV show with great games, festive food and lots of music! 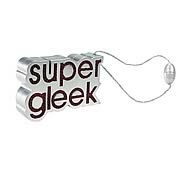 Entertain Gleeks of all ages by setting the scene like William McKinley High School or any general high school hallway complete with lockers. Varsity letter man jackets, knee socks, backpacks, school pennants, a trophy case and any form of school memorabilia is sure to add to the excitement. 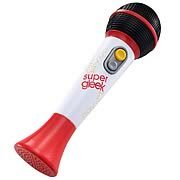 Keep a karaoke machine stocked with a variety of music choices to make this the hottest Glee party in town! Here are some Awesome Activities from the Glee TV Show. Add your own fun ideas that you get from the Glee Cast or the Glee Episodes you watch on TV. So what's it all about? Design your very own locker! Another party activity that has been inspired by the Glee TV Show. Make a Glee Character Collage. Gleeks are going to enjoy this party activity with a Glee TV show theme! It's called All Star Cast. Can you guess what it's about? Karaoke...Singing...Glee-a-raoke! Let your high school hold a Bake Sale. Your party guests can decorate their own cupcakes and then put them out for "Sale". Each party guest gets to pick their own cupcake off the Bake Sale Table. 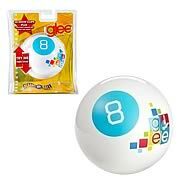 Every party idea...even a Glee party theme...needs some fun, fun party games to entertain all the guests. Here are some game ideas inspired by the Glee TV Show and it's talented cast. 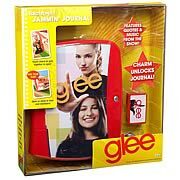 Get a CD with Glee songs on it to use as background music or for any musical games or activities you plan. Glee Games are fun and everyone is going to enjoy playing them. Start the fun off seeing how much your party guests know about the Glee Cast and Episodes. Yep, it's time for Glee Trivia. Another fun party game that is a must when you are planning a Glee TV Show party is Name That Tune. When your theme involves a glee club there is lots of musical fun to be had! Another important part of singing in a Glee Club is not to forget the words to the songs...so let's play "Don't Forget the Lyrics". Gleeks are usually pretty good about remembering the songs they have to sing, but they do forget on occasion...see if tonight is one of those times! Gleeks don't only sing, they dance too. So your Glee club can Host a Dance Off. Get the music list and start those records up!